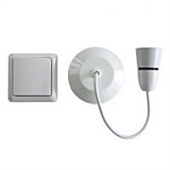 These products enable you to add wall mounted switches or remote controls to your existing lighting with minimal or no rewiring required. 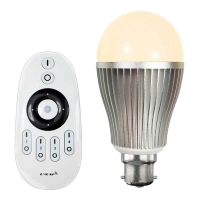 Thus if at present you can only turn your stair light/s on from the top or bottom of the staircase then these kits should enable you to add a switch, or use a remote control, from the other end of your staircase. 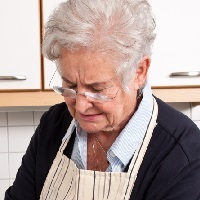 Many of the products listed will not work on their own but only in conjunction with another product, which will also be listed on these pages. 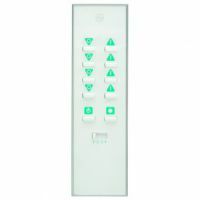 For example, any remote control or wall switch will only work when used with a compatible ceiling module, bulb holder or socket adaptor. For more information read the individual product descriptions. 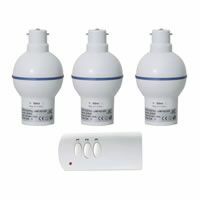 Products titled 'kit' should contain both the switch / remote and the ceiling module or adaptor. All of these switches / kits give on/off operation of a light or lights. Some will also dim a light/s to a desired level of brightness. Dimming a light/s over a staircase is NOT recommended. These dimmer units will not work with energy efficient bulbs.